Unfortunately NO. I require a retainer in order to reserve your wedding day on our calendar, and with booking your day on my books I will not book any other clients on that same day, or the days surrounding your wedding if travel is required. When you cancel your wedding, I am left with an opening date in our calendar and have lost the opportunity to book another client for the same date, simply by reserving the date for you and turning away any offers I had for that date after your booking. Since there are a limited number of days that I can offer my services throughout the year, I have retainers implemented and used simply to cover any and all lost opportunities resulting from a cancellation. I completely understand that in some cases the wedding date needs to be postponed for whatever reasons. I always trying to accommodate any of these changes the best that I can and work them out in my schedule if possible. 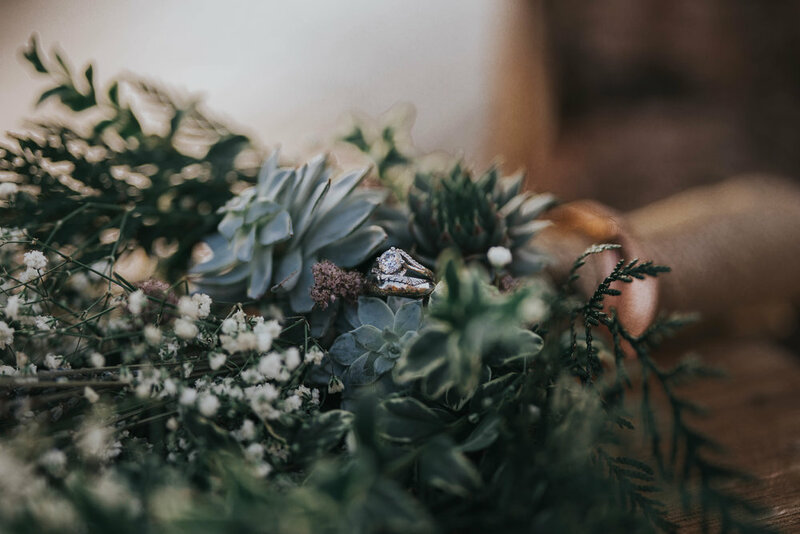 With venue changes, they normally do not interfere with our services unless there is a long distance between venues, which would then cut into your coverage time. Date changes, however are more difficult, since many clients book their weddings and reserve their dates in advance (in many cases up to 1-2 years ahead of time), I might not be available on the rescheduled date. I will make best effort and work to make the arrangements to have coverage on your wedding day, but your deposit is not refundable in this case. Yes, I do charge travel fees for weddings outside of my usual service range (45 miles radius of Jackson, MI). I have a general overview of tips for your big day and how much time I recommed alotting over on my Wedding Guide. The time depends though on how long your wedding day is planned to be, whether or not you want to have every stage of you wedding day photographed, the amount of time you are thinking of booking me for, etc. The guide I created gives you a good understanding on what each part of your big day entails and how long it usually takes fro me to capture a good variety during that section. If you are still unsure, don't worry, I can help you plan. I just ask that you please, have your wedding day schedule as completed as you can at your final wedding consultation appointment and then we can discuss this in details and rearrange as needed. Whatever you decide to do though, it is always good to have some extra buffer time padded into your schedule to avoid rushing from location to location or running the risk of cutting things out. I want you to feel relaxed and enjoy your big day and trust me, your images look much better if you are not under constant pressure of time constraints to cram in the photography parts that you want. No, I hand pick the second shooters and contract them for all of my weddings and all photographers that I partner with have many years of wedding photography experience and we have worked together before. Since I have worked with them in the past I can ensure that match the style and image quality that I offer, making your final images a complete uniform set. If there is someone that you specifically want to help out, I do not mind looking into them to see if they would be a good fit to help cover your wedding day though. Depending on their experience and quality, I will then see what would be best in how we should proceed with your second photographer. re you available for destination weddings and elopements and what are the prices? Of course! I love traveling! Even though I am located in Jackson, MI, I offer my services to clients all around the world. for destination prices, they are simply my standard wedding collection prices plus the cost of travel, reasonable accommodations, and meals. Feel free to email me at alex@amarievela.com about your destination wedding details, and I will provide an exact quote for your wedding. Yes, and this is a question you should ask any and all photographers that you work with, regardless of if it is for your wedding or not! Insurance is so important! My business is insured for any property damages that might occur from my services while I am at the wedding venue. I do use professional lights, light stands and equipment, which is also why my business is insured incase any damages happen to these as well as the venue.